Organisation’s aim: To highlight Armenia’s unique national heritage by using a wide range of innovative projects, with the main focus on education and raising awareness through film and media. The organisation was established by Ruben Khachatryan, an Armenian filmmaker, with zoologist Hrach Ghazaryan, to address what was perceived as a lack of environmental concern in the country since its independence in 1991. They set up FPWC to raise awareness of conservation issues, especially among young people. 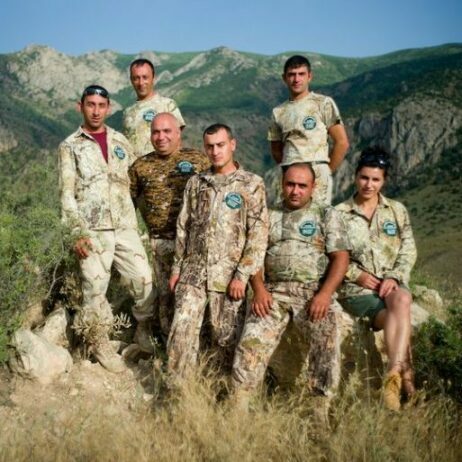 In 2010, Barbara Siebert of FPWC submitted a proposal to World Land Trust (WLT) for the purchase and protection of land surrounding the Khosrov Reserve, in south-western Armenia. Following a site visit, to assess the feasibility of a partnership and any potential future projects, WLT formed a partnership with FPWC later that year. Making wildlife films about the unique biodiversity of Armenia and holding an annual film festival. Running an Eco club called Sun-Child, offering free after school environmental education to children from the surrounding community. Working with Yerevan Zoo to improve animal welfare, education, and nature protection.